First of all I added several strips of washi tape to the solid yellow page behind the cut out cover. I love the yellow, but it just needed a bit more color. Much better, don’t you think? 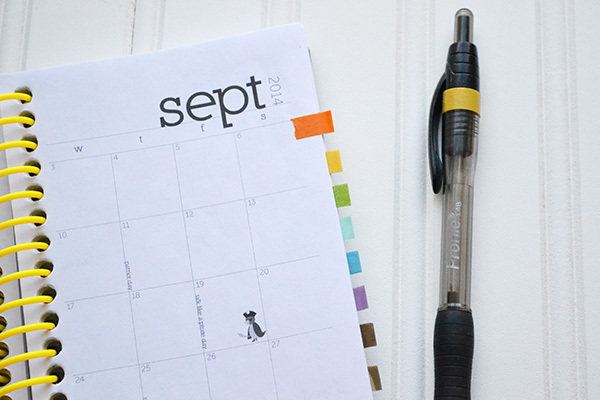 Then I added some washi tape tabs to mark the first page of each month. I love the color that the tabs add, plus they’ll save me some time trying to find the page I’m looking for. 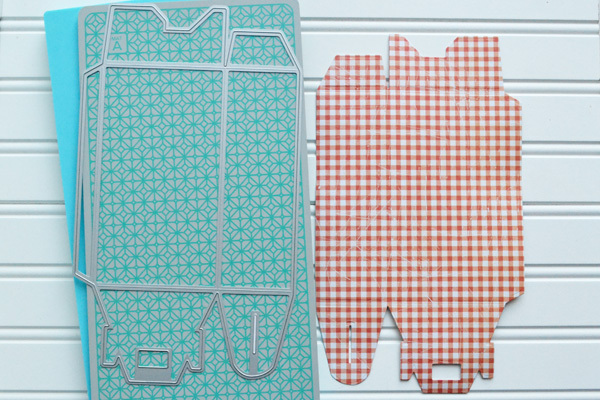 I’m all about time savers, and if they’re cute and crafty…even better! 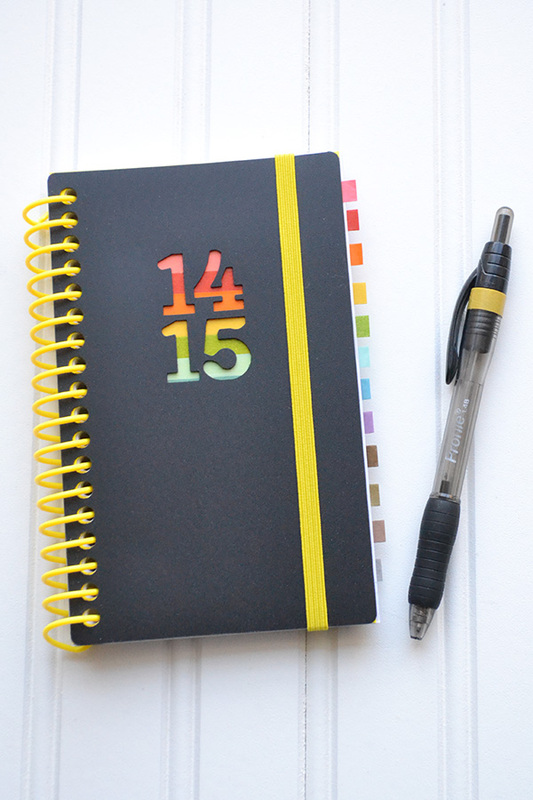 To help keep track of the pen that goes with my planner I added a strip of yellow washi tape at the top. 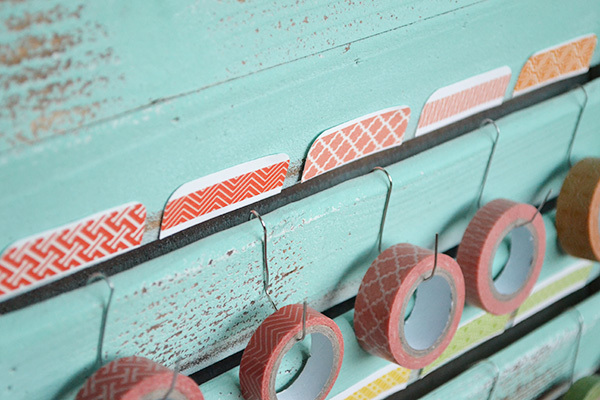 I hope you enjoyed washi tape week here on the blog, and that you found some fun inspiration and ideas to use. If you need some more washi tape inspiration, you can check out THIS POST with several fun ideas for using washi tape on layouts, cards, and home decor projects. Sometimes I get a little bee in my bonnet and I just feel like freshening up my home decor a bit. This week I had one of those days and decided to use my craft stash to create a fun piece of washi tape wall art inspired by The Crafted Sparrow. I love the pop of color it adds to the room–perfect for the summer months! 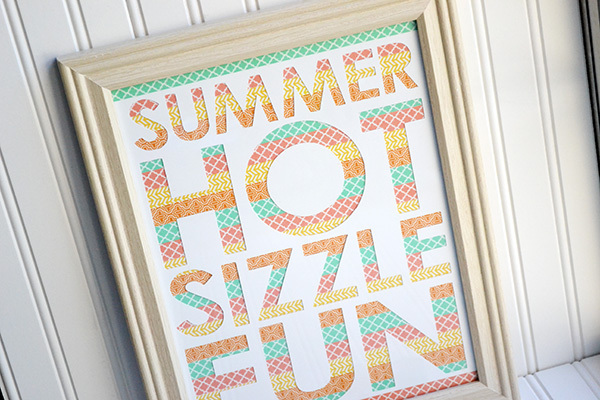 I used my Cricut machine to cut out some words from a 10 x 13 inch piece of poster board. 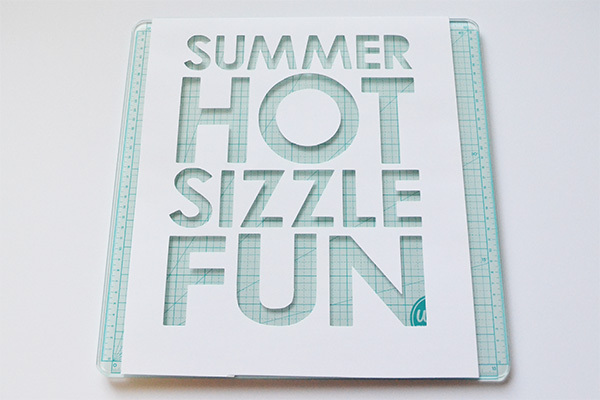 You can also print letters to use as template and cut them out with a craft knife from poster board or mat board. Be sure to use a nice thick sans serif font. Capital letters work well since they’re all the same height. 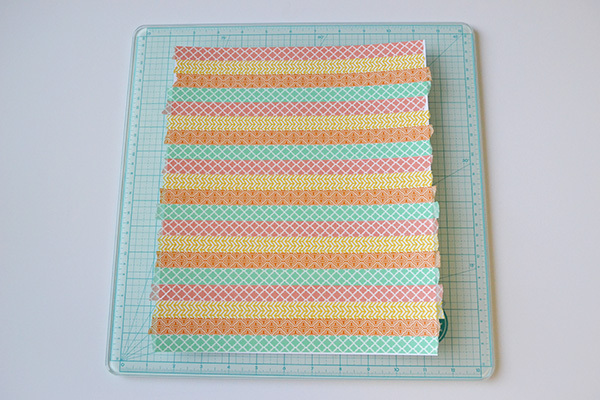 Then I covered a piece of white cardstock with strips of washi tape in a fun summer color palette. I picked mostly warm colors, and threw in one cool sea foam color to balance them out. After trimming the excess tape off the edges with my Large Precision Scissors (since they’re non-stick) I adhered the washi covered cardstock behind the poster board and placed them both into the frame. Letter tip: be sure to save the center of any letters and add them to the washi covered cardstock like I did with my letter “O”. For more in-depth details regarding this project, visit The Crafted Sparrow. 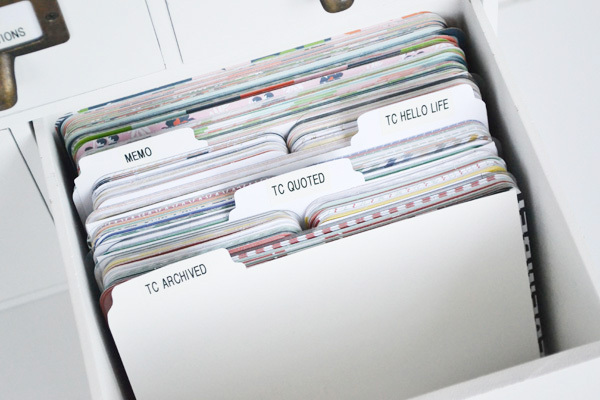 One dilemma that plagues many crafters and scrapbookers is how to store their favorite supplies. 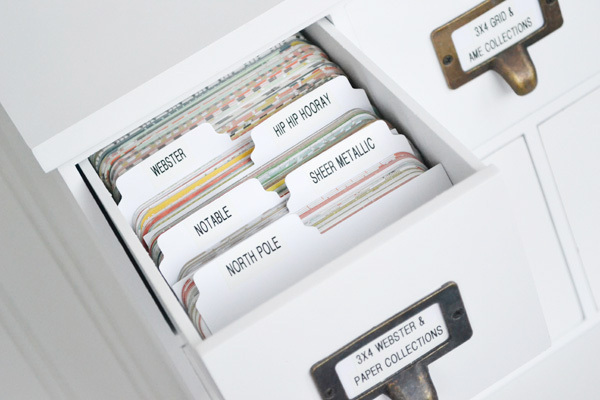 Washi tape storage is a particularly common issue that I’ve heard a lot of crafters discuss online and in person. 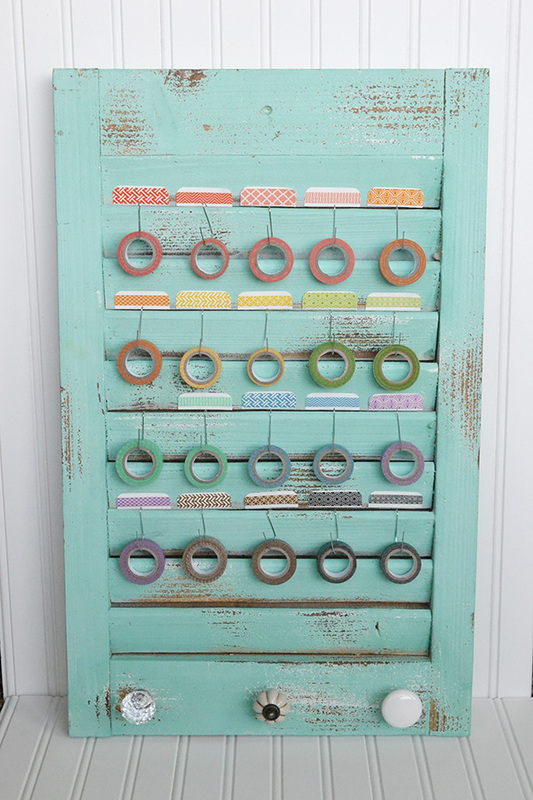 To help solve this dilemma I’ve got a fun storage idea that also doubles as a fun piece of decor for your craft room or office–washi tape shutter storage! 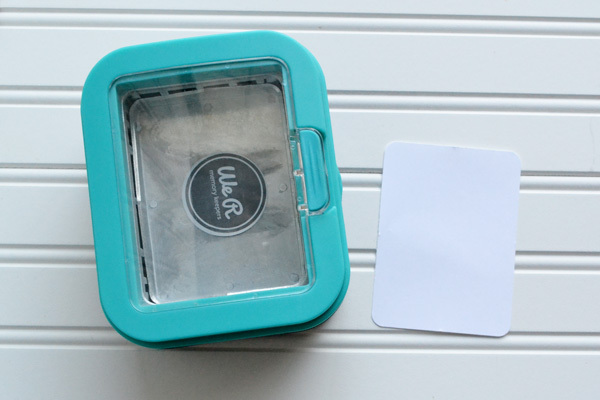 I used my pretty We R Shutter Memo Holder to double as my washi tape storage. You can also find old shutters at yard sales, consignment stores, or antique stores and give them a fresh coat of paint. Then I grabbed some paper clips from my home office, bent the into an “S” hook shape, and hung them on the rungs of the shutter. I skipped every other rung to allow enough room for the washi tape to hang. Then I placed a strip of each roll of tape on a scrap piece of white cardstock and punch it out with my Index Tab Punch. I adhered each tab to the rung just above each roll of tape so I know what each roll of tape looks like and where to put it back when I’m done using it. I love having my washi tape out of display and being able to see each roll of tape clearly. And I love the adorable shutter and the fun feel that it adds to my craft room. 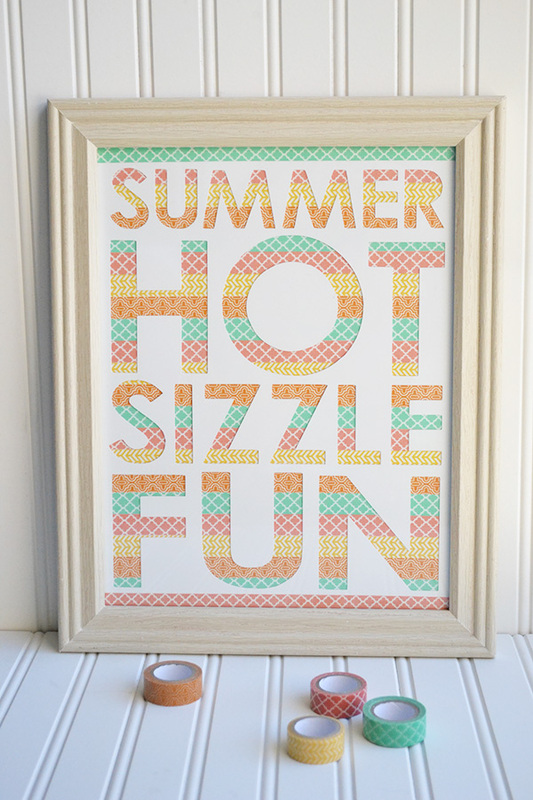 Come back tomorrow for an awesome idea for summer home decor using washi tape! Washi tape is definitely one of my go-to craft supplies. It’s super versatile, colorful, cute, and easy to use. In honor of this fabulous craft supply I’m dedicating a week’s worth of blog posts full of clever ideas and inspiration for how to use washi tape. 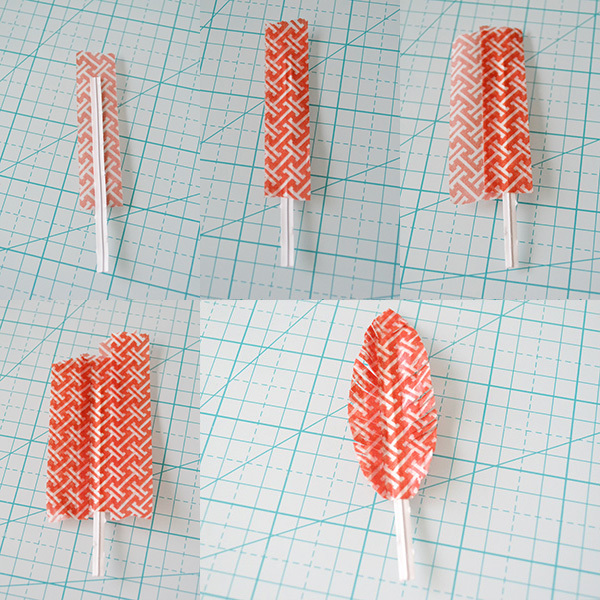 I’ll kick things off this week with a tutorial for creating washi tape feathers that you can add to any craft project, be it scrapbook layouts, cards, albums made easy pages, or other paper crafts. These little guys are easy to make and only require a few household supplies. Start with a twist tie or small strand of craft wire. 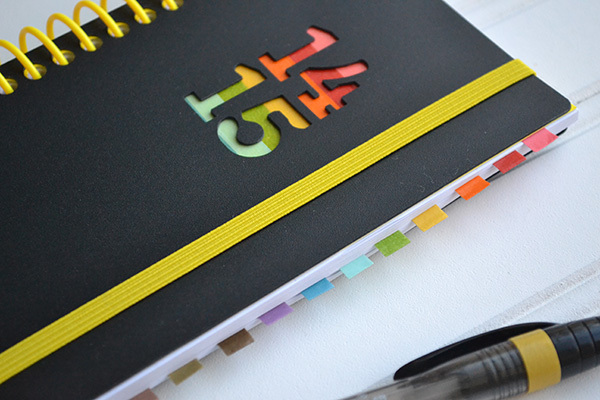 Add a piece of washi tape to the back, sticky side up. Add another piece directly on top of the first one. Continue to add more washi tape pieces on each side of the first set until it’s wide enough to cut out and form and a feather shape with fringe. Use the end of the twist tie to attach it to your craft projects. I added my feathers to a gift bag I made with the Gift Bag Punch Board from the Farmers Market Paper Pack. 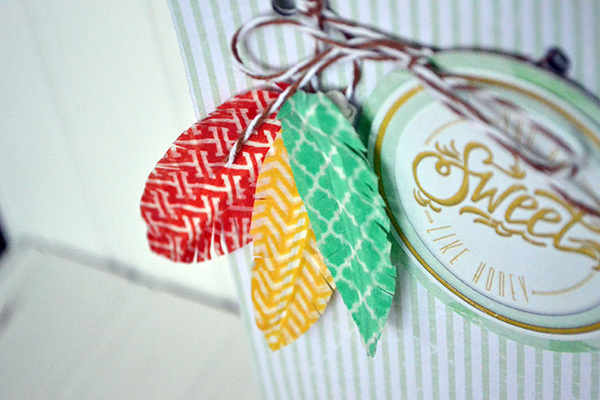 I love how the beautiful colors of the tape blend together, and the patterns are fabulous! 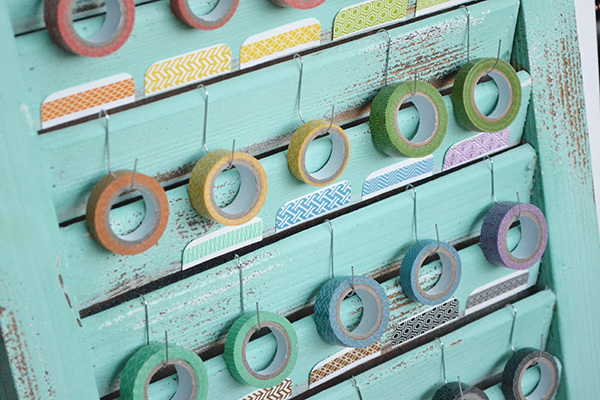 Now it’s your turn to pull out your washi tape and get busy. You can try this project, or you can try something entirely different, but just have fun! Recently our family spent a fun evening up in a nearby canyon with some friends. We had a campfire, roasted hot dogs and marshmallows, ate s’mores, talked, and sang camp songs. We made some great memories, and it got me thinking about how fun and unique making s’mores is even though it’s something so simple. 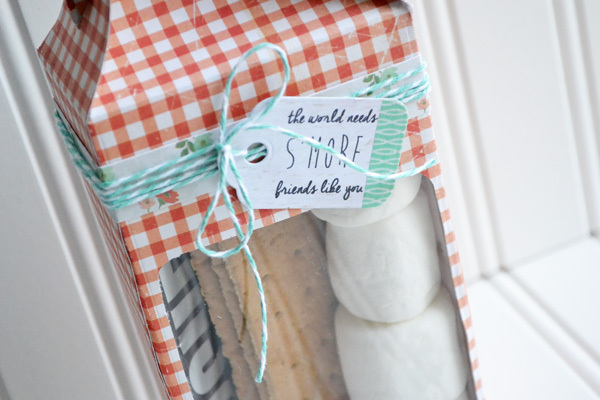 My creative mojo took over and I came up with a great all occasion gift idea for the summer months–a s’mores treat box! 1. Die cut two pieces to make a large bakery box from Farmers Market paper using the Large Bakery Box Template Die. 2. Punch a rounded 3×4 card from scrap paper using the 3×4 Card Punch. Place the card template on the backside of one bakery box piece and trace it. Cut out the card shape using an Art Knife and back it with clear plastic or cellophane. 3. 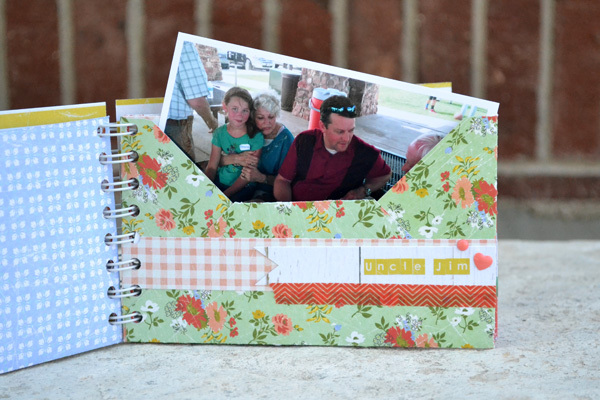 Assemble the box and add a border, some baker’s twine, and a tag at the top. Fill the box with chocolate, graham crackers, and marshmallows. This treat box would make a great gift for neighbors, friends, coaches, or even a summer reading reward for your kids. 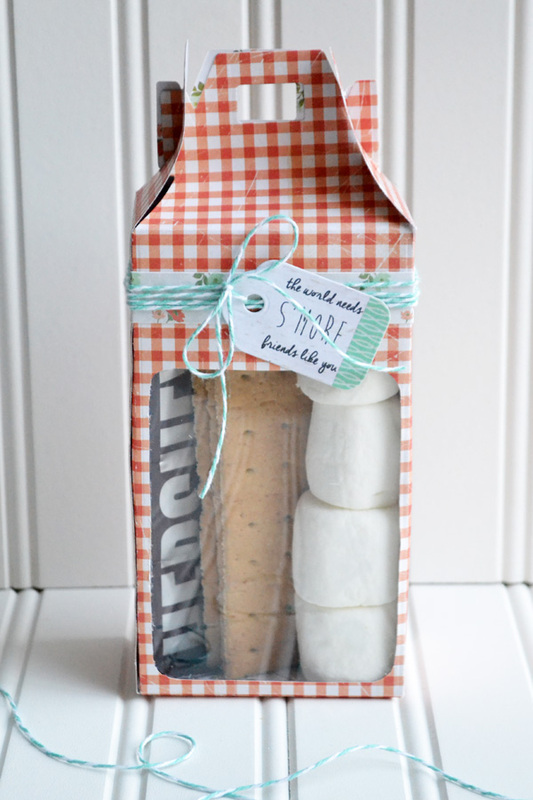 You could also make this s’more packaging as favors for a backyard party or barbeque. Hey there We R fans! I’m writing this post from the condo we’re staying at for our family reunion. That’s such a special part about summer–traveling and getting together with family. And this summer we happen to have three! Family reunions are awesome, but can be a bit overwhelming with so many people you don’t see very often. Sometimes we have to give our kids (and ourselves) a little refresher before the big event to help them remember everyone’s name. 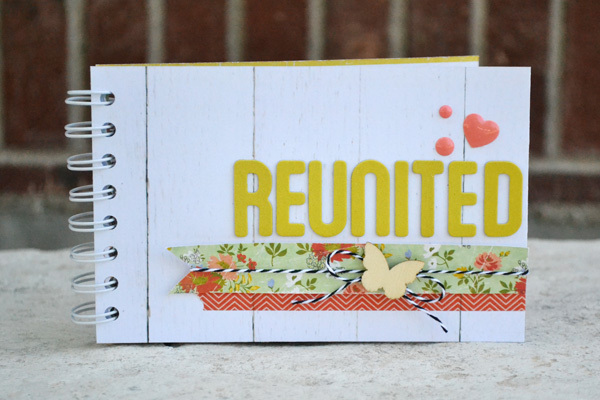 Here’s a fun and crafty way to do just that–an Envelope Punch Board Reunion Book! This easy little book is 4 1/2″ x 7″ and fits 4×6 photos. I created five 4″ x 6 1/2″ envelopes using patterned papers from the Farmers Market collection and my Envelope Punch Board. I trimmed off the top flap and embellished the front of each envelope, adding the names of our relatives so our kids can learn them. Once I finished each envelope I made some simple covers and then used The Cinch tool to bind them all together. Our family loves browsing through the photos and remembering who all our relatives are. That way we don’t feel so awkward when reunion time comes! 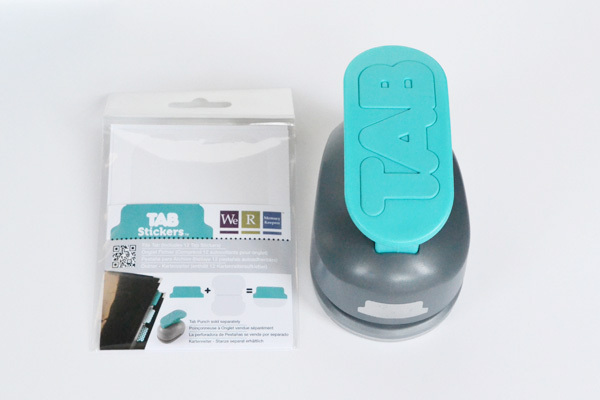 What’s great about using the Envelope Punch Board is that you can make whatever size envelopes you need to fit different size photos–everything from full 4×6, to phone size, to wallet size, to Instagram. Efficient storage and good organization is as important to me as having my favorite craft supplies to play with. It’s not much fun to create pretty things if you can’t find what you need to make them! When the Albums Made Easy Storage was released I was so excited to get my journaling cards and photo sleeves organized. 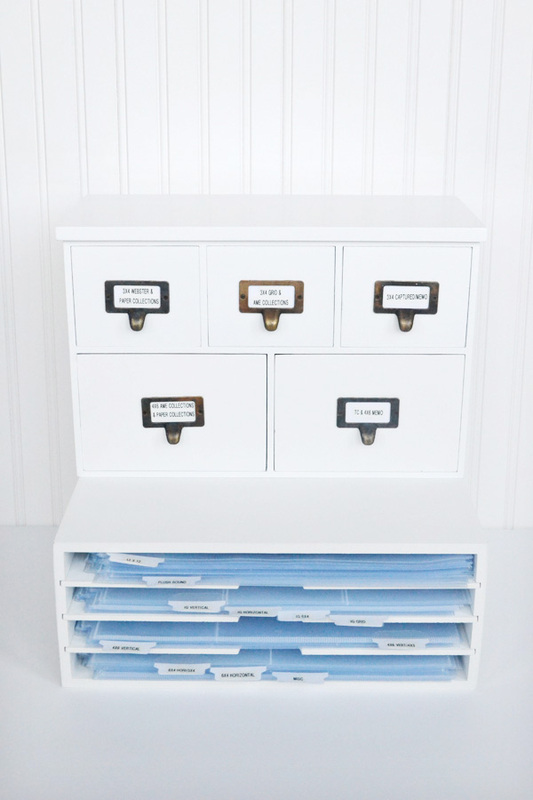 I love the crisp clean white wood with the antique library card drawer handles–right up my alley! Since I have messy handwriting I pulled out my trusty label maker and added labels to the tab dividers. I prefer to organize my journaling cards by collection, but you can organize them any way that works for you (color, theme, style, etc). I had more 3×4 card than would fit in the 3×4 drawers so I included my Teresa Collins 3×4 cards with the 4×6 cards, standing them vertically side-by-side in the drawer. 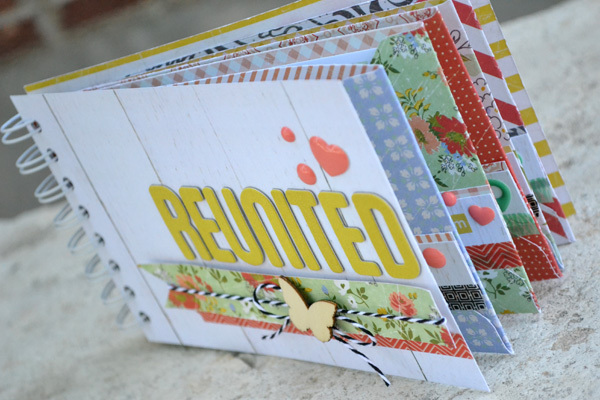 To keep things simple, I placed the coordinating cardstock journaling cards with each AME collection. That way they’re easy to find. 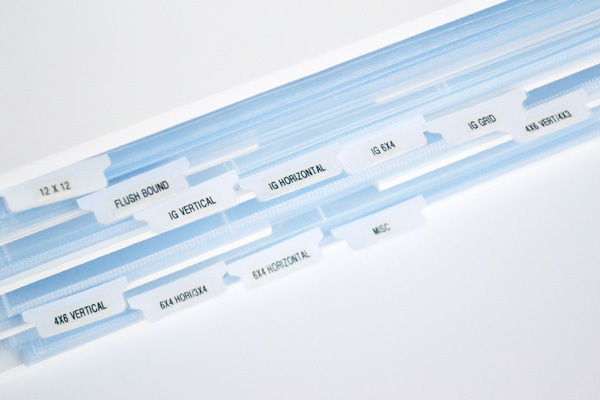 The photo sleeve shelves hold over 200 photo sleeves or page protectors. The shelves come with divider tabs and stickers, but I decided to create my own divider tabs using the File Tab Punch and Tab Stickers. I added categories with my label maker and then adhered the tabs and stickers to the top photo sleeve from each category. If I ever need to remove the tab stickers from the photos sleeves they peel right off, no problem. Not only do I love how well-organized my Albums Made Easy supplies are now, but I also love how awesome my Albums Made Easy storage looks! And that’s a win-win, right? 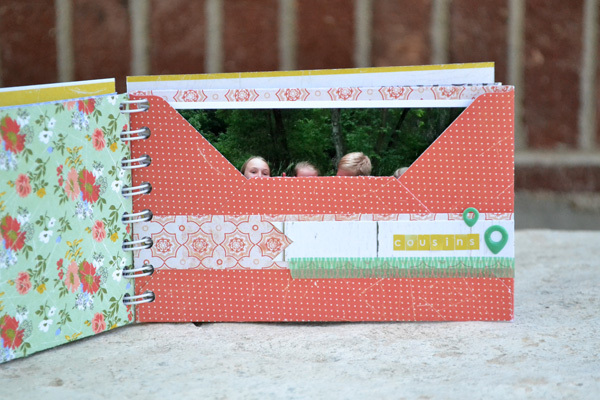 I love to find ways to use my scrapbook supplies for projects outside of my craft room. Making home decor items, gifts, and other crafts with my stash brings me a smile–especially since I get to see my favorite supplies in use or on display in my home. I recently got a new iPhone and while I love it I felt like it needed my “signature” on it. My new phone is white and gold and since I had some white vinyl left over from another project, I used the scraps to cut some fun vinyl phone decor for the back of my iPhone case. I placed my Albums Made Easy Icon Dies and Hello Pocket Scrap Dies on my Genius Platform and then placed the vinyl on top. Then I ran the platform through my Evolution and out came my vinyl phone decor. Finally, I peeled off the vinyl backing and carefully placed the shapes on my phone, smoothing out the bubbles with my fingers. 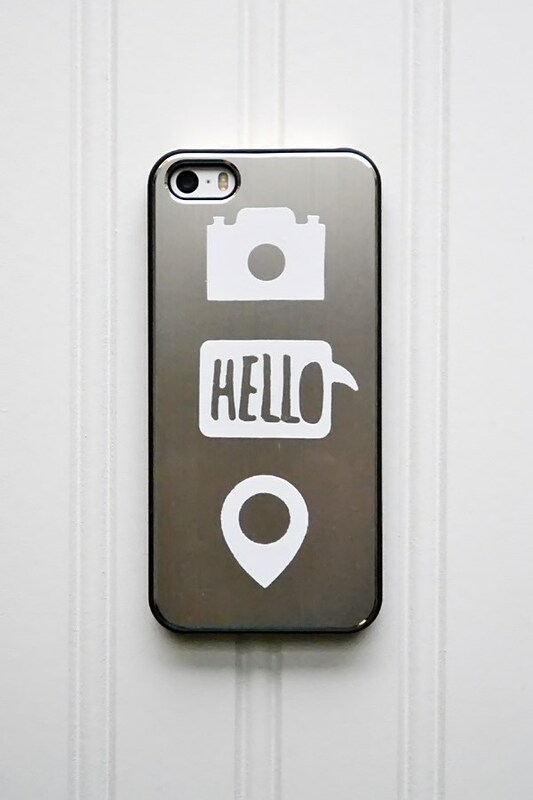 I love how the die cut vinyl adds some simple and fun personality to my phone case. And the best part is it simply peels up if I ever want to make a change leaving no sticky residue. 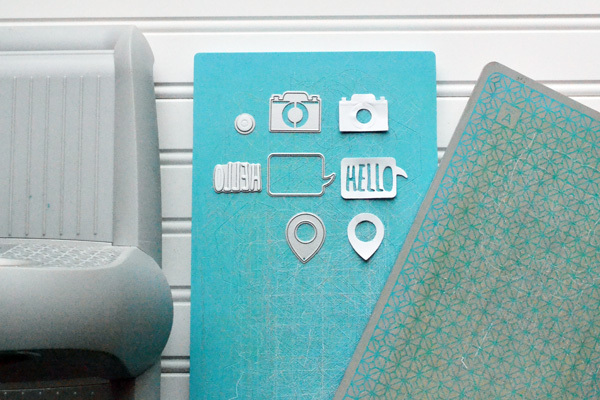 How do you like to use your scrapbooking supplies in different ways? 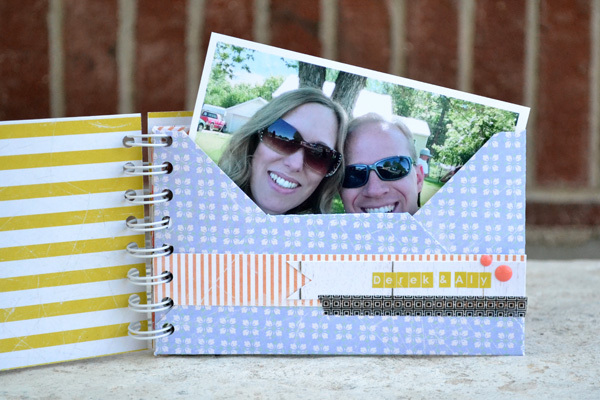 This morning we’re featuring two new Albums Made Easy journaling card collections. Check out Playtime (MSRP $7.99). The Playtime kit was designed to be used to document child’s play. Whether you choose to play with permanent markers, or use these cards in an activity book and work with dry erase markers, playtime is a great addition to your pocket page scrapbooking collection. 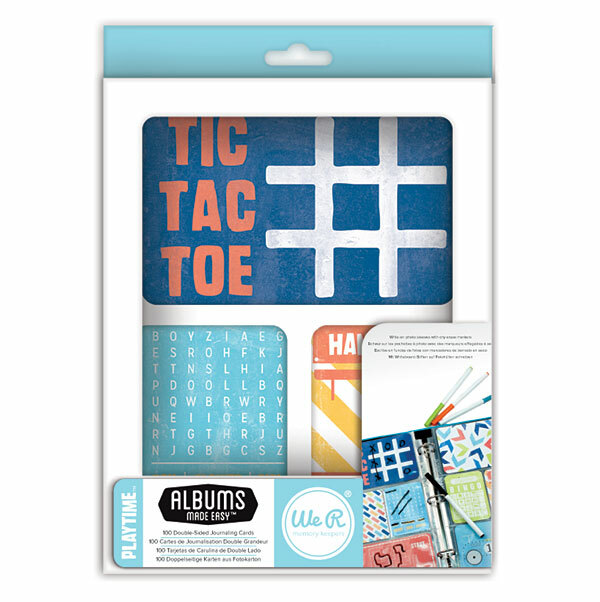 The Playtime kit includes 100 cards and will ship to retailers in August. We’re also releasing our first ever wedding kit – simply called Wedding (MSRP $7.99). 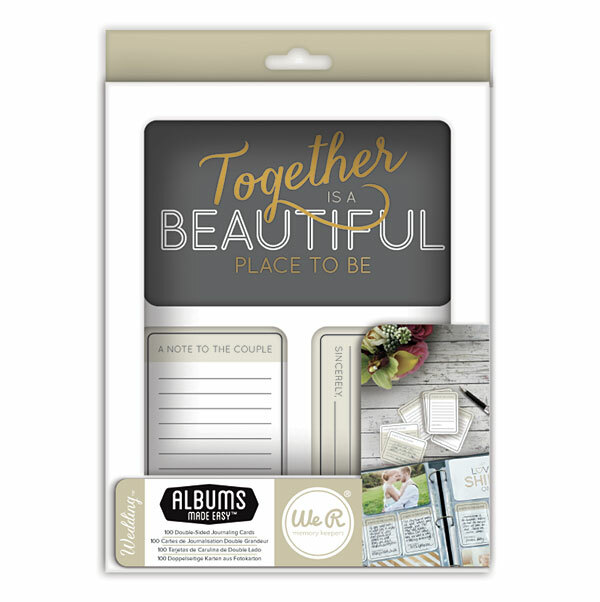 With the Wedding addition, you’ll be able to create easy to use memory and guest books. The neutral coloring in this kit lends itself to almost any wedding event. The Wedding kit contains 100 cards and will be distributed to retailers in August. Interested in playing with one of these kits? We’re giving one away on Facebook and Instagram. Our next new release might look a touch familiar. The new Fold Down Gift Wrap Station (MSRP $299.99) is similar in design to the Fold Down Craft Table released last summer. It’s counter-top height and slim storage allow you to organize in wrap all in one convenient location, regardless the size of your space. When closed the station folds up to 32 1/4 inches square and 5 1/4 inches deep. 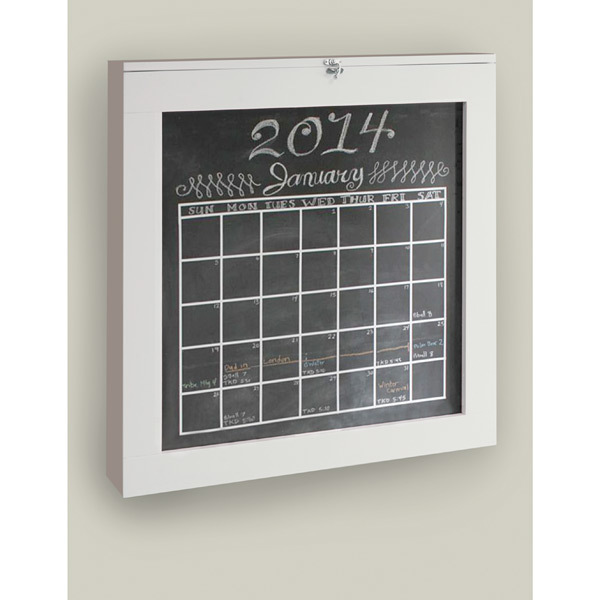 The outside features an easily-customized chalkboard surface that can be used as a calendar or framed art. The fold down table top includes a gift wrap size chart and measurements silk screened onto the tabletop for accurate paper cutting. When opened the workstation table is 33 inches tall, with a work surface of 30 1/2 x 31 inches. The Fold Down Gift Wrap Station will ship to retailers in October.